Opera Web Browser is evolving itself by introducing many new features. 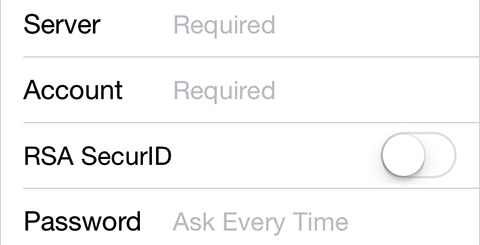 They have added a built-in ad blocker to their app. Now Opera added a VPN service also. VPN or Virtual Private Network allows you to search through the internet without revealing your location, blocks potential ads, avoids analytical trackers and others from accessing certain information about you. Opera has launched its VPN App for iOS platform during the first phase of this year. Now they have come up with its Android version. Many known web surfers also provide its VPN service but for a cost. These web surfers used to charge you a fixed fee per annum for their service. This is where Opera VPN App is relevant. They are granting their VPN App completely at free of cost. This service provided by Opera avoids the need to download any VPN extensions or pay a fixed amount for VPN subscriptions available. Now it’s time to see certain advantages of VPN App from Opera. According to the statistics provided by Global Web Index more than 24% of total world’s internet users are using VPN services mostly by paying subscription. They prefer VPN services in order to maintain their secrecy as well as privacy. VPN services also help them to access restricted networks and sites banned in certain countries, access restricted news websites, and access restricted contents and so on. I have already mentioned that VPN service from Opera is absolutely free. VPN App from Opera is simple to use that too without revealing your true self. 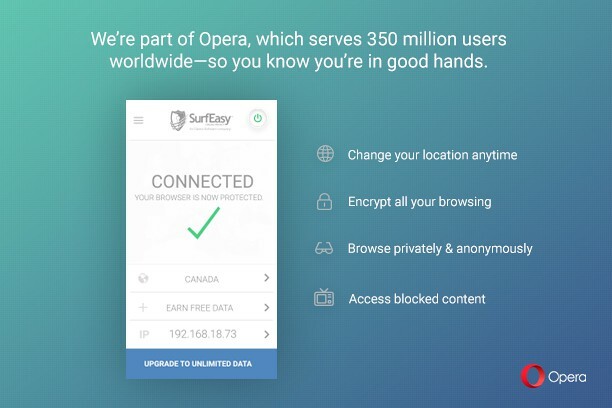 VPN App from Opera follows certain privacy policies. The policy says that they won’t collect any data from users such as their personal data, browsing pattern, location details, and browsing data and so on. For instance if you are using VPN App in US, it may show that you are using the internet content from Canada or somewhere else.